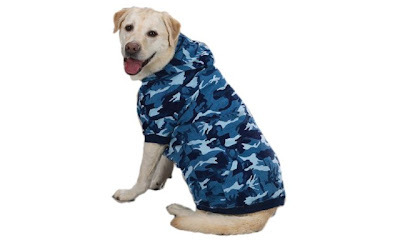 The Casual Canine Blue Camo Pet Sweatshirt Hoodie (in Size Large) is currently selling for just $6.35 on Amazon.com! You will be saving 68% off the listed price of $19.99 with this dog hoodie deal. Also available in additional sizes, but prices will vary.